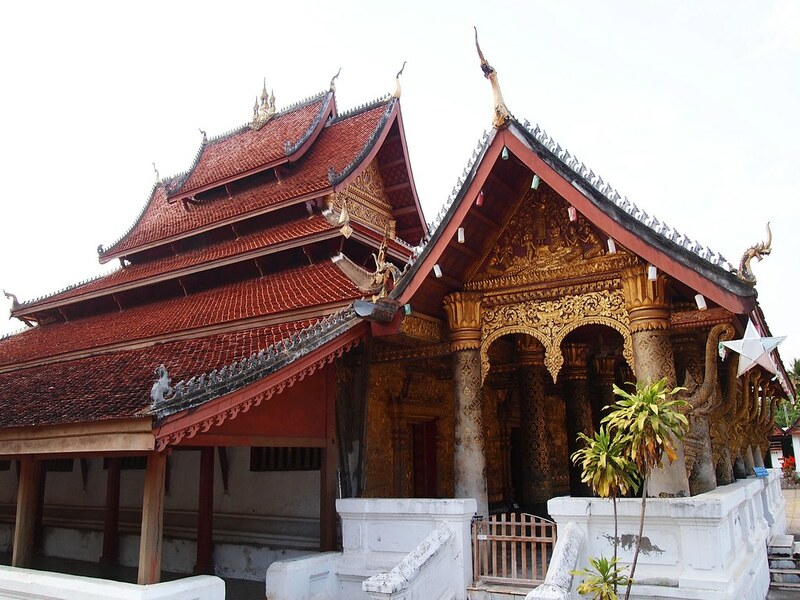 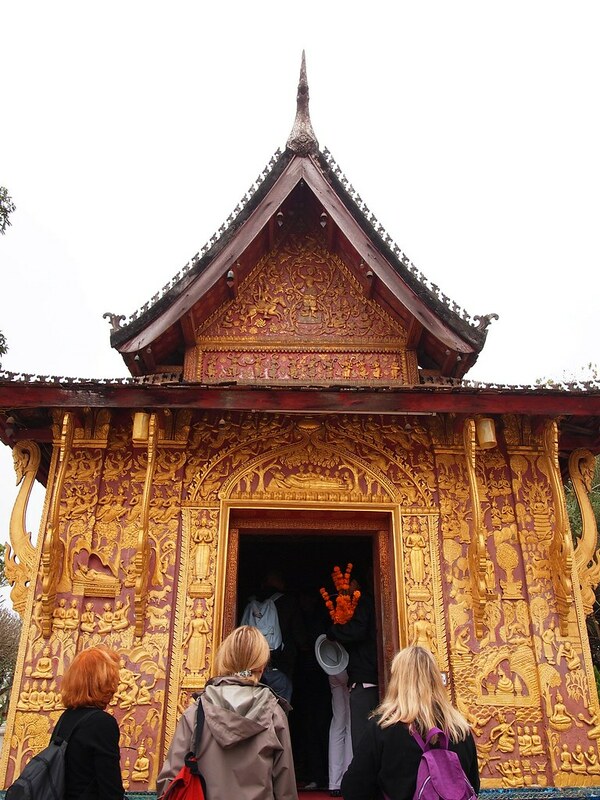 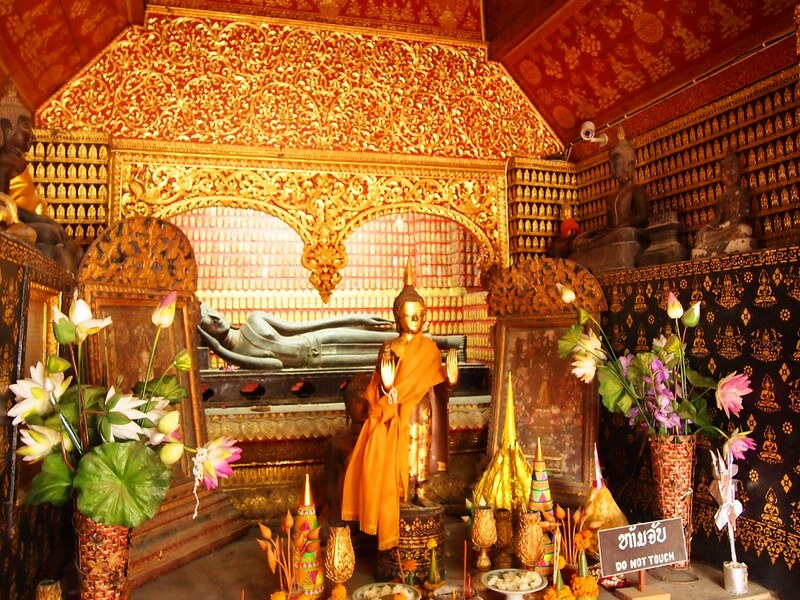 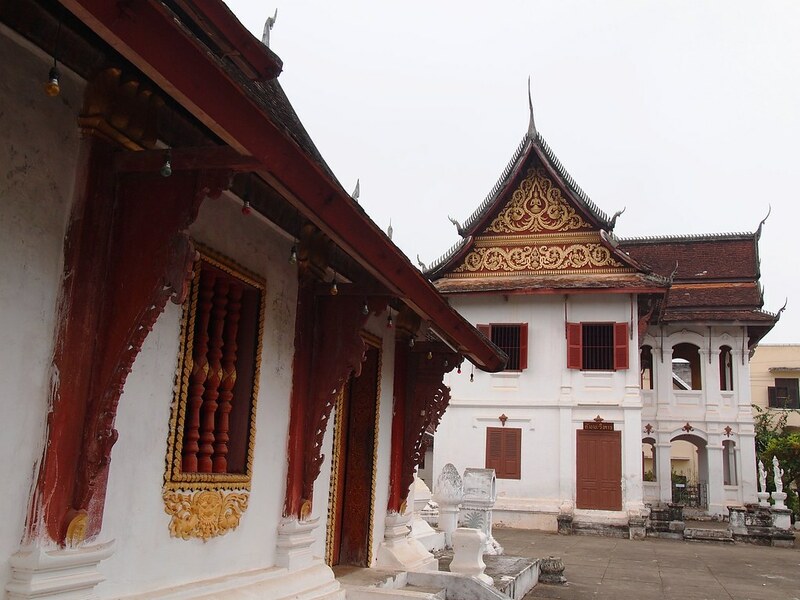 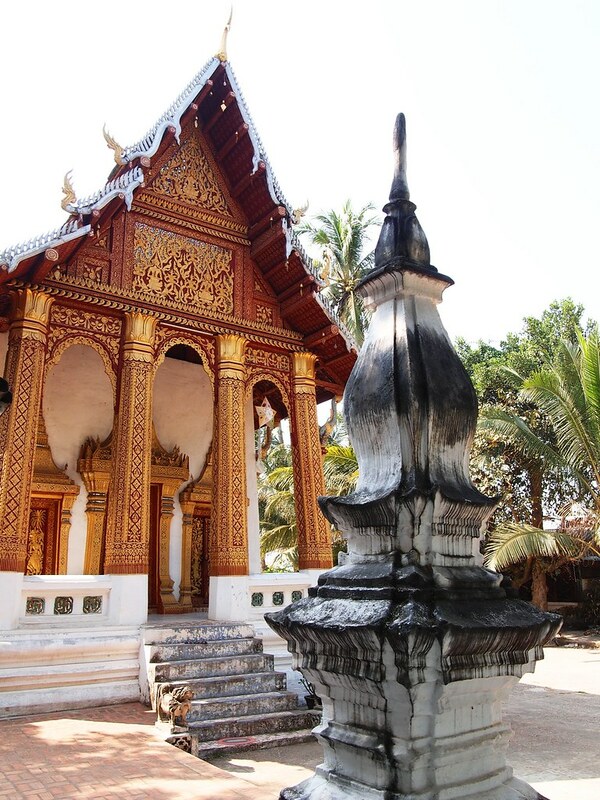 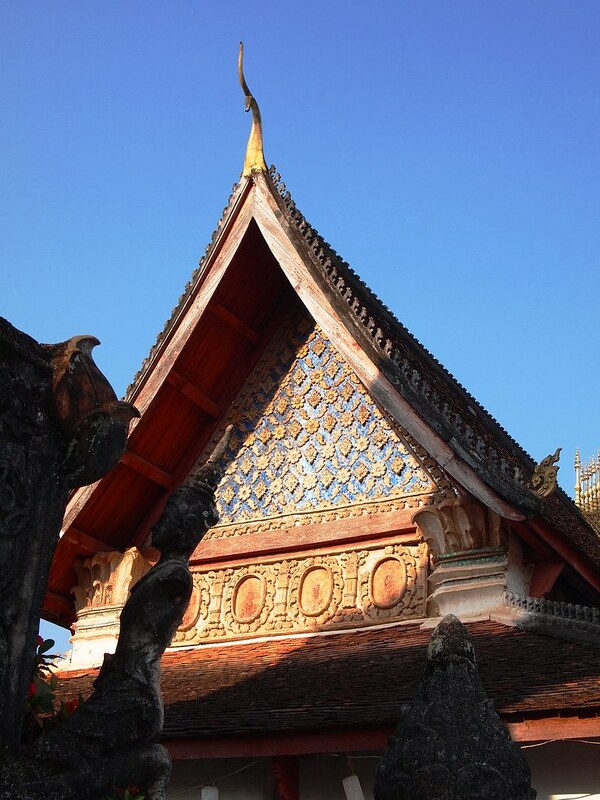 Though there are a lot of magnificent temples across South East Asia region, the temples of Luang Prabang are standouts for a specific reason and that is how one can closely associate the importance of these wat (temples) to the Lao people and their way of living. 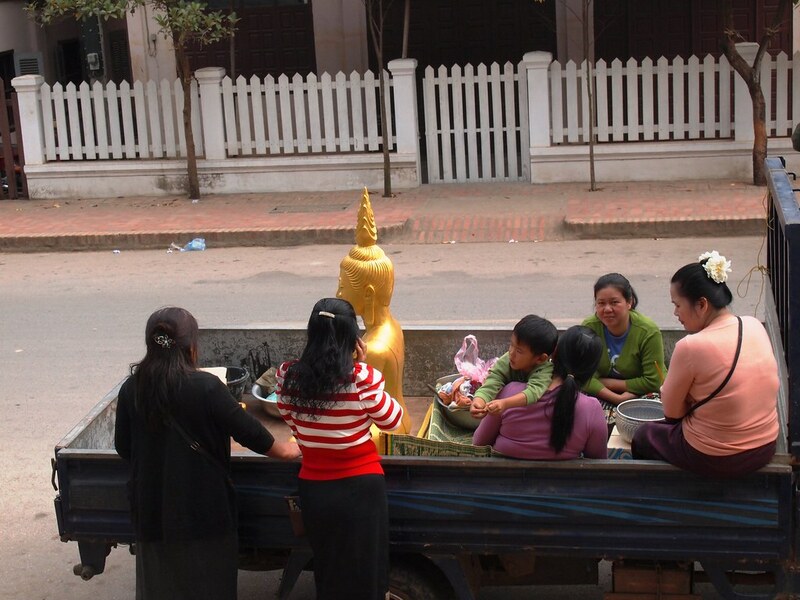 For a city which starts its day with a morning alms ceremony and apart from the presence of monks on the street, it is common to see families gathering together to visit a temple for prayers and it is correct to say that like the family at the back of the truck ready to donate a new golden Buddha to the monastery, a visit to Luang Prabang will be filled with seeing the many temples that occupied the city. 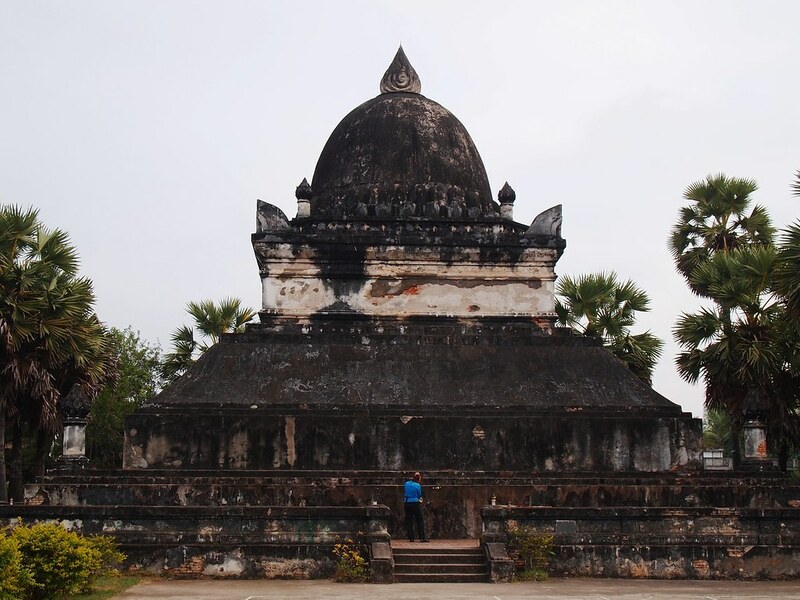 Most temples are within the proximity of the main road of Sisavangvong, thus making them easy to access by foot or preferably better explored with a rented bicycle, at the same time cover the various parts of the city. 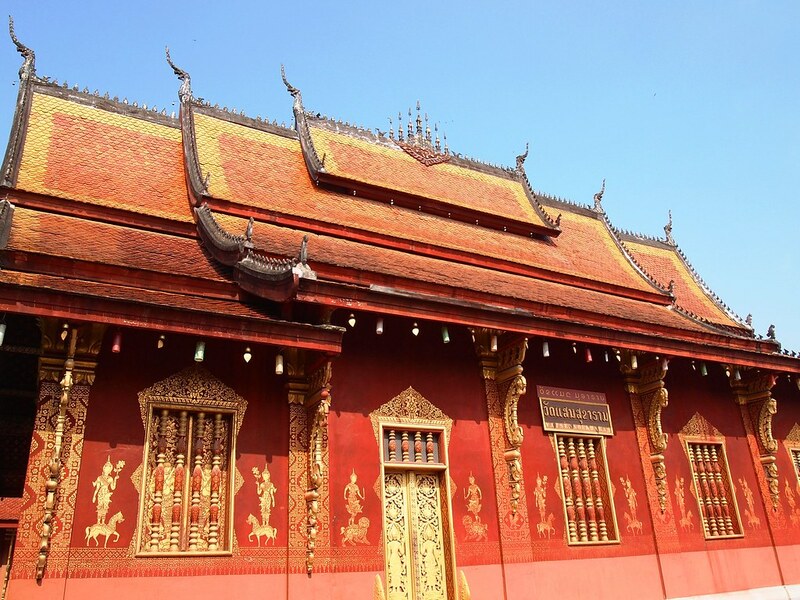 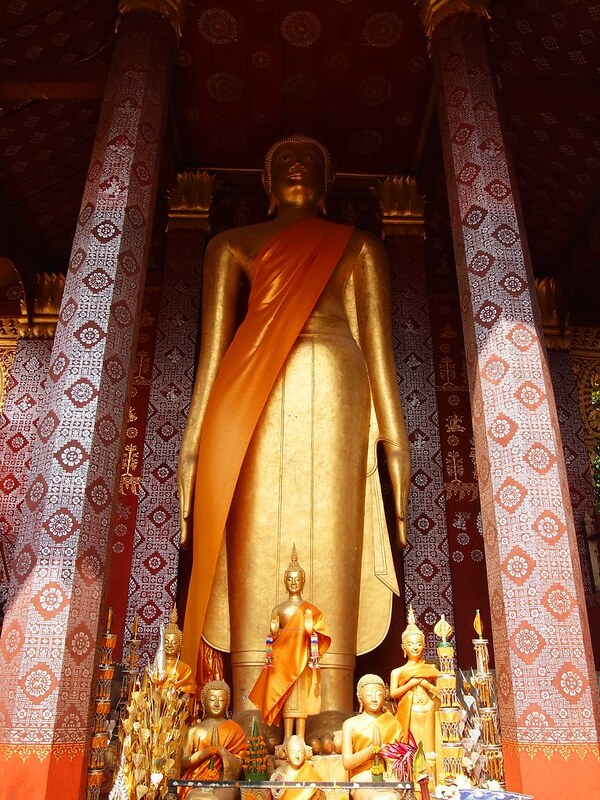 These temples are major tourist draw and it is recommended to start your temple exploration with the most popular one- the Wat Xieng Thong or the Golden City Monastery, at early morning just before the crowd started to arrive. 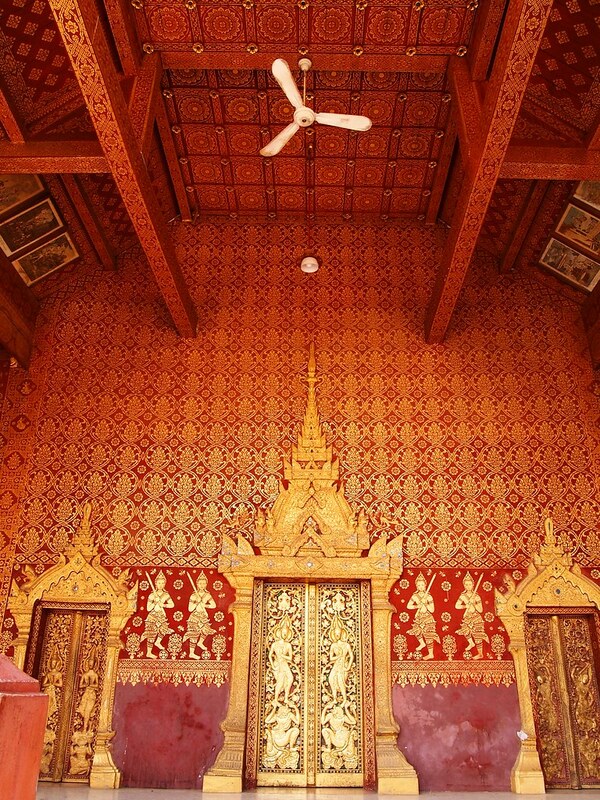 Located at the inner city close to Mekong River, said to be the most historic and enchanting of them all, Wat Xieng Thong outstanding feature is claimed to be its elegant, low overlapping roof though one that will surely leaves the most impression is the jewelled “Tree of Life “mosaic located at the temple exterior back wall. 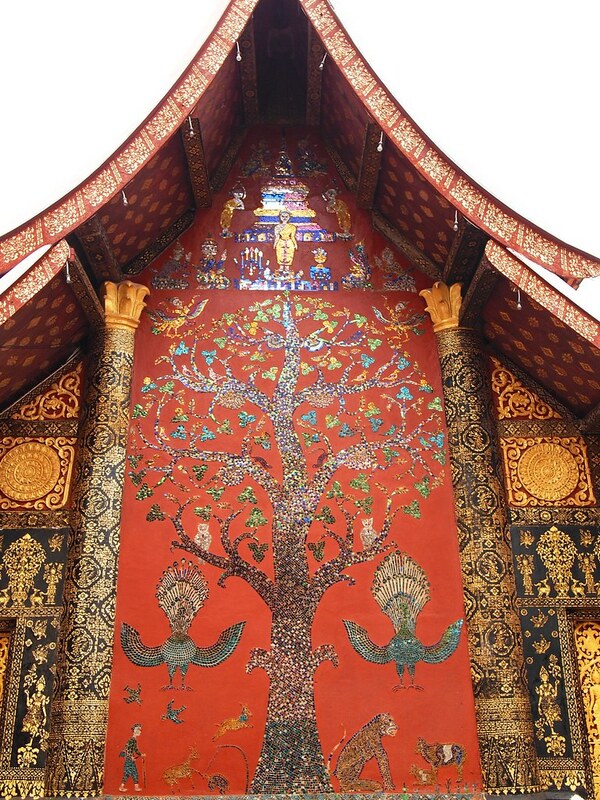 A depiction of the flame tree that once stood at the temple site when the city was founded, the Tree of Life mosaic together with the story-telling of Lao daily lives using the colored glass mosaics at the pink walls of the smaller back temple is actually what makes Wat Xieng Thong unique from the rest of the temples of Luang Prabang. 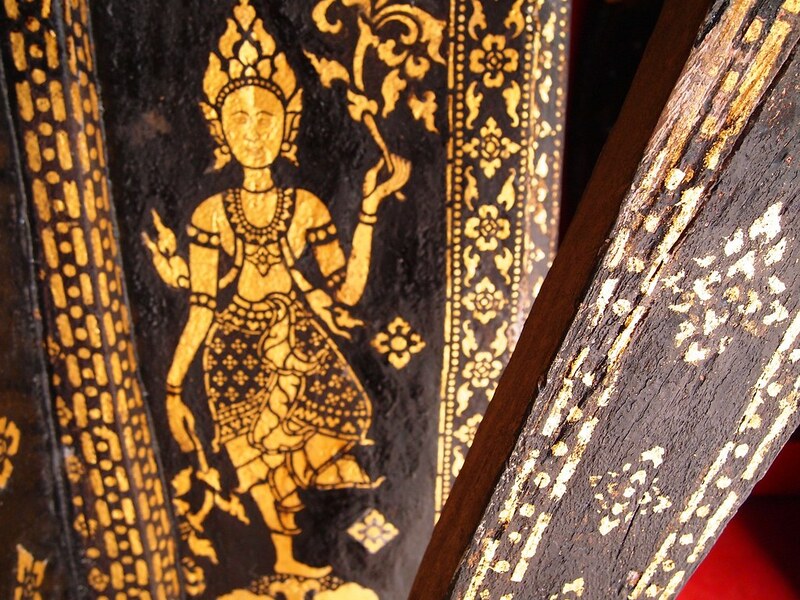 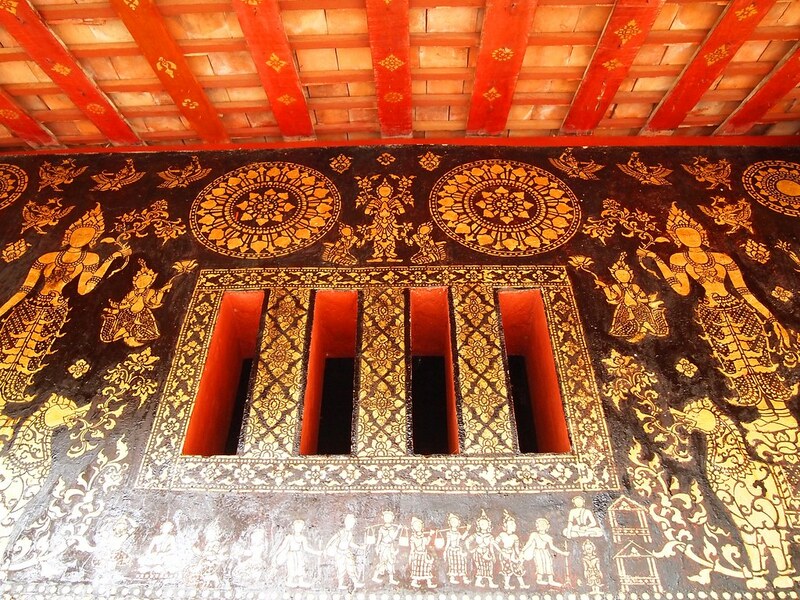 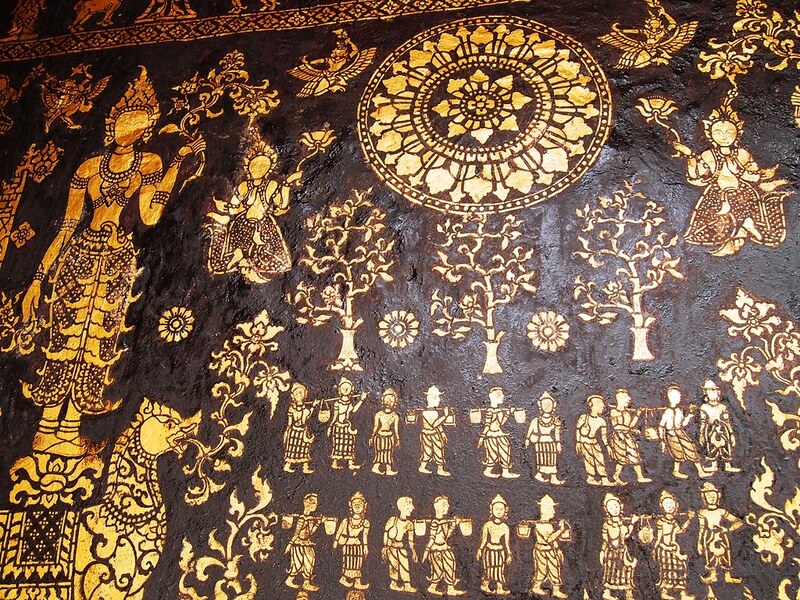 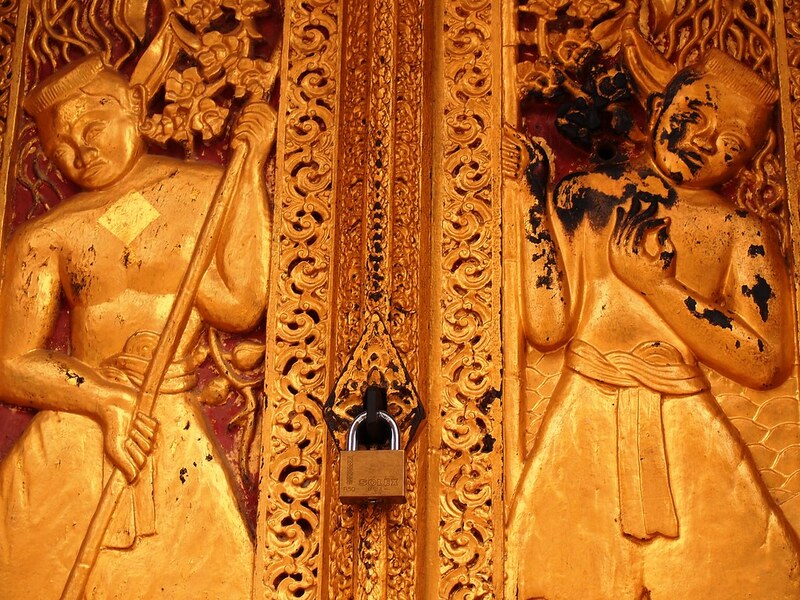 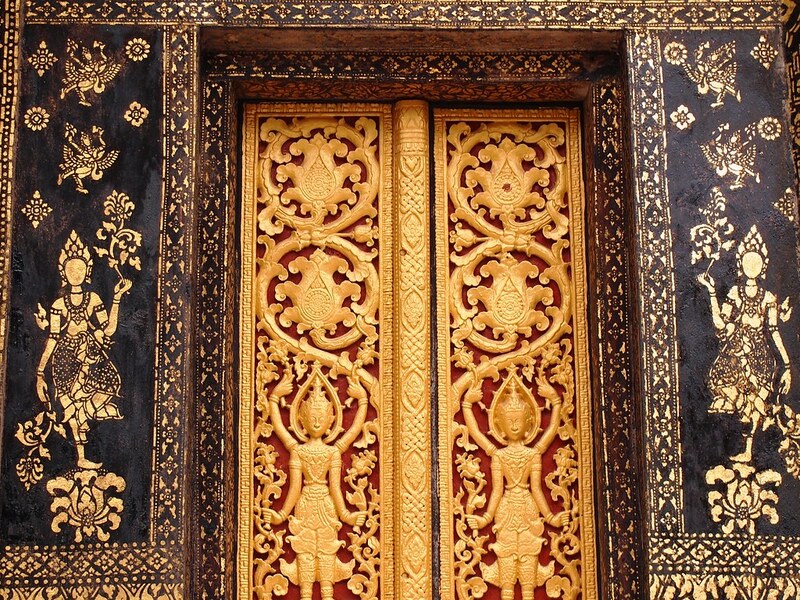 The walls of Wat Xieng Thong are decorated inside and out with stencilled gold motifs on a black background, where every stroke is a scene from the Lao version of Ramayana while on a separate smaller temple the golden wall decoration shows some graphic punishment scenes for sinful, unfortunate souls. 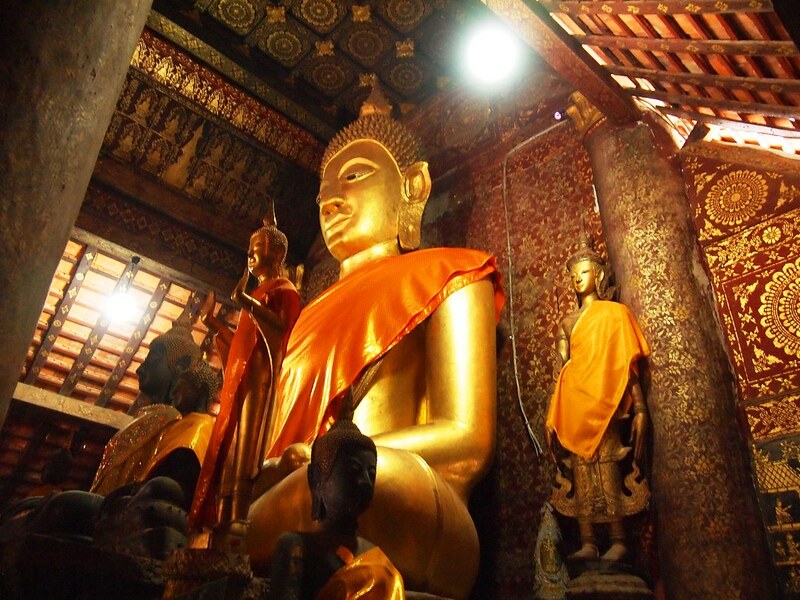 Both the main temple and smaller one are dim lighted inside making the Buddha statues more mystical not only in size and count. 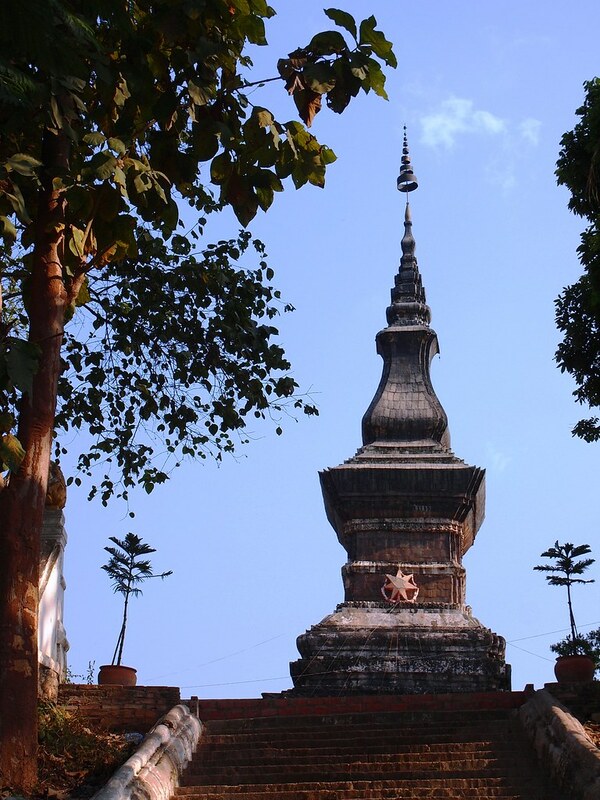 There are many other temples located left and right of Sisavangvong street. 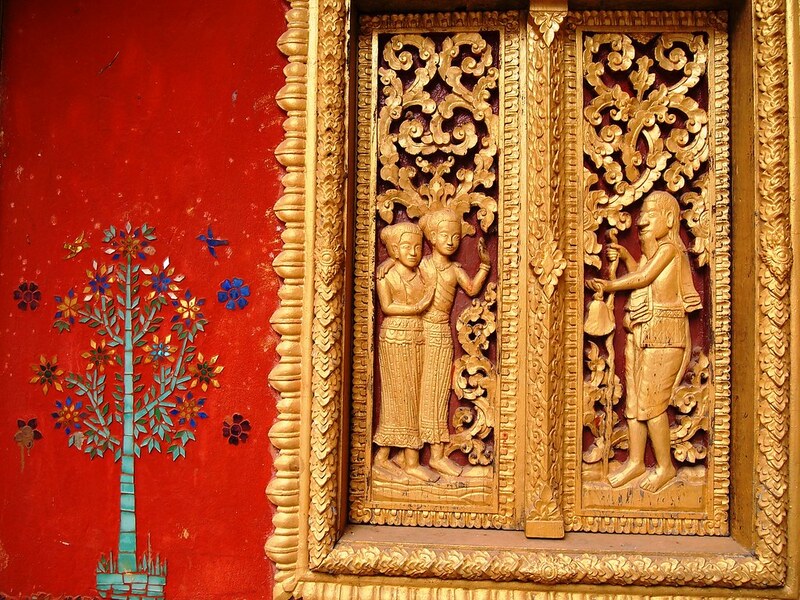 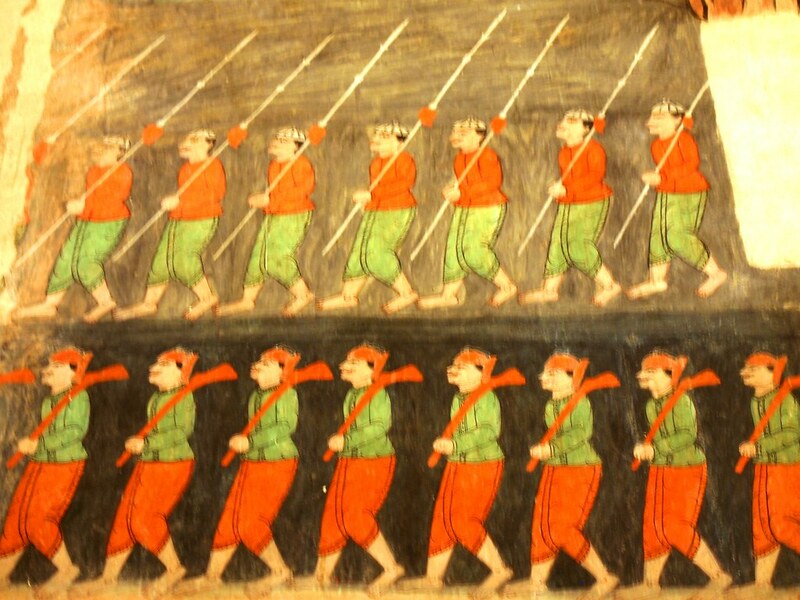 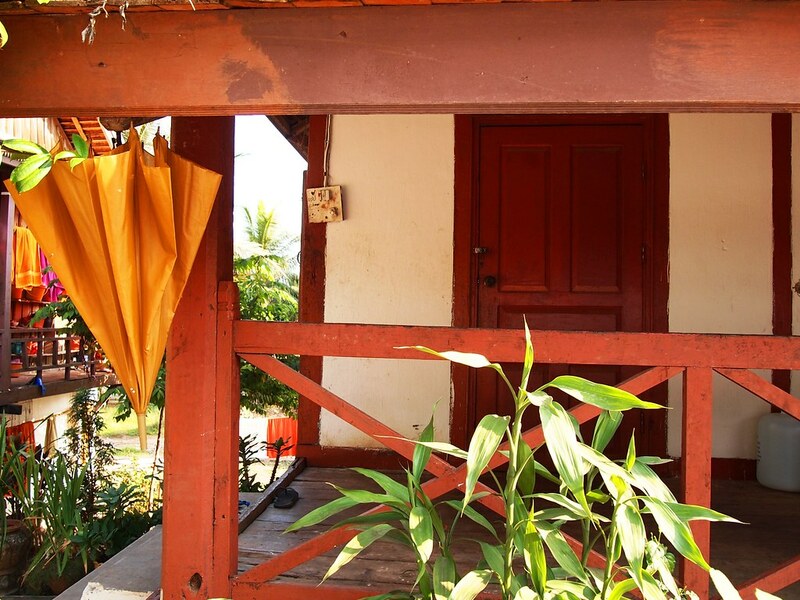 They are all well-decorated with traditional Lao color of orange and gold, and usually free to access or a small donation of 10,000 kip is required. 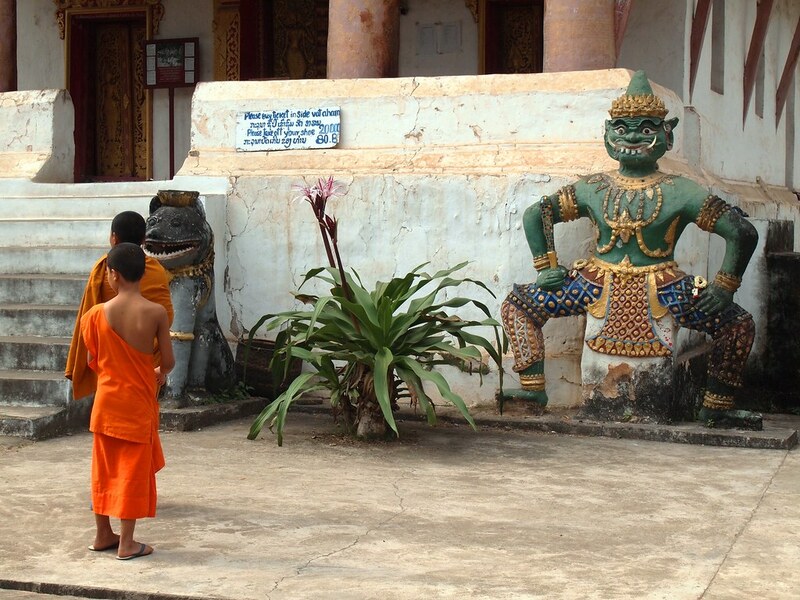 Some that I remember visiting are Wat Khili, Wat Siboun Heuang, Wat Sop, Wat Sane, Wat Mai and Wat Visoun na Rat. 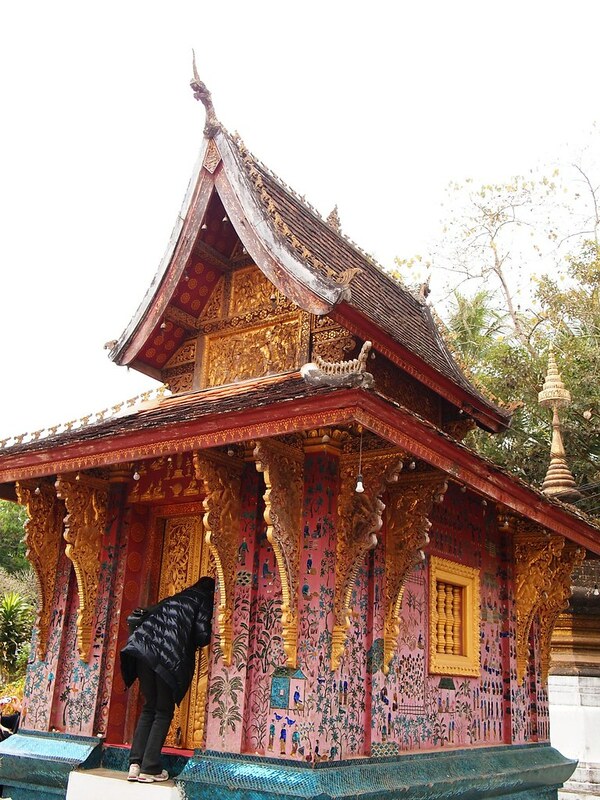 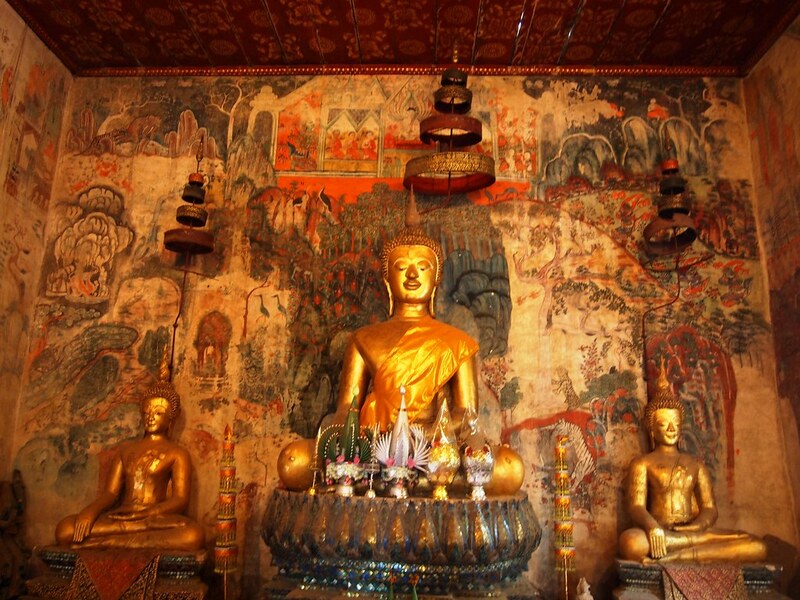 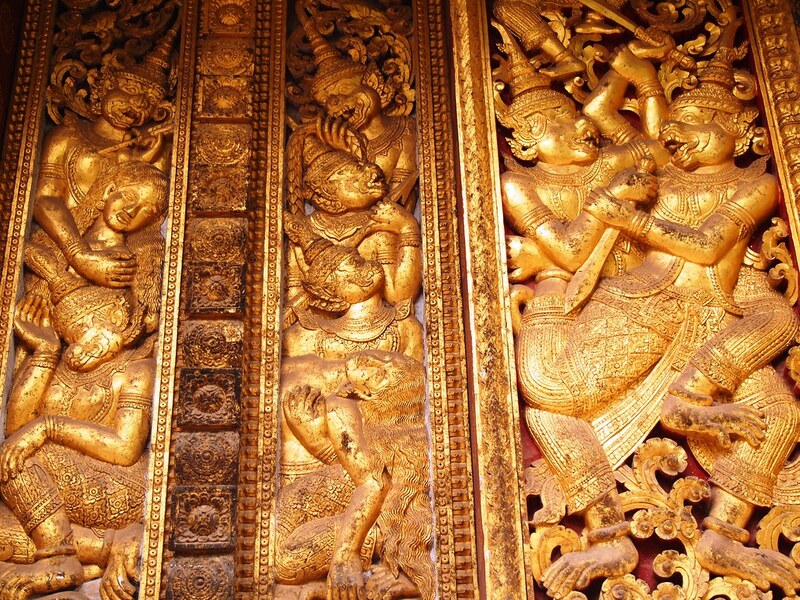 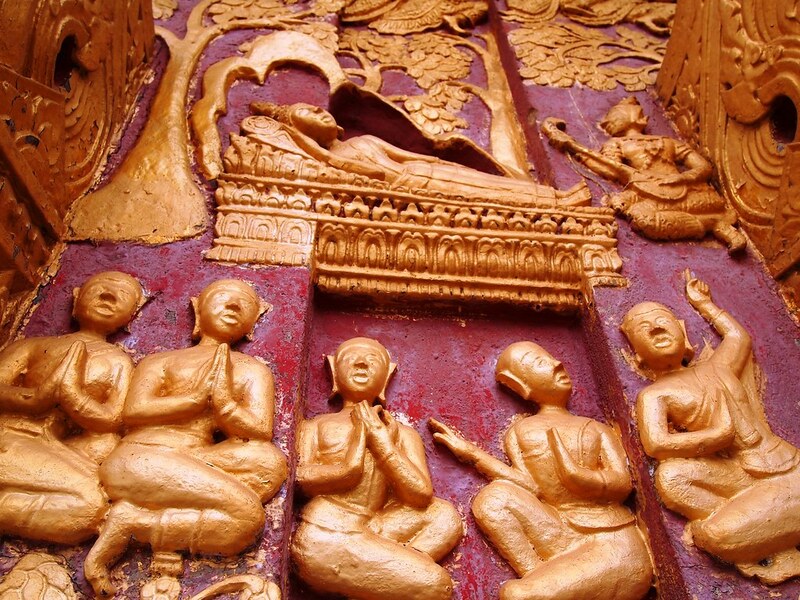 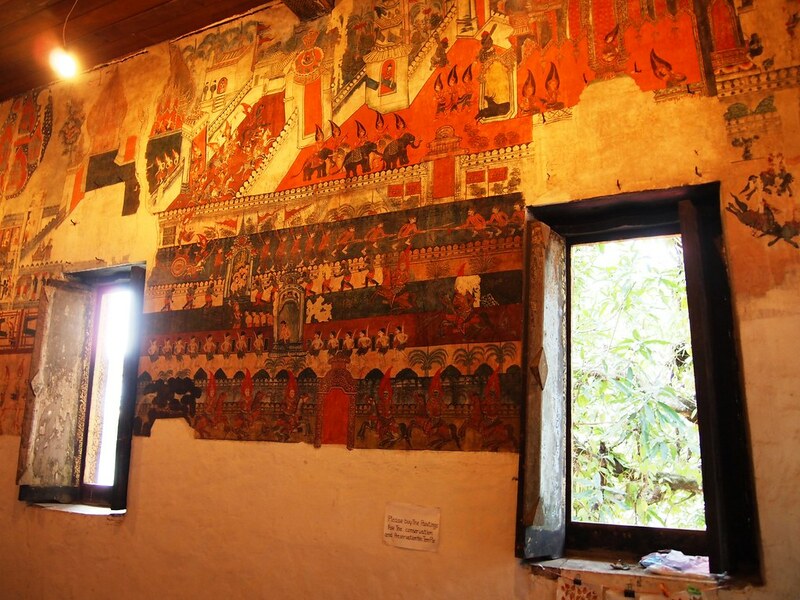 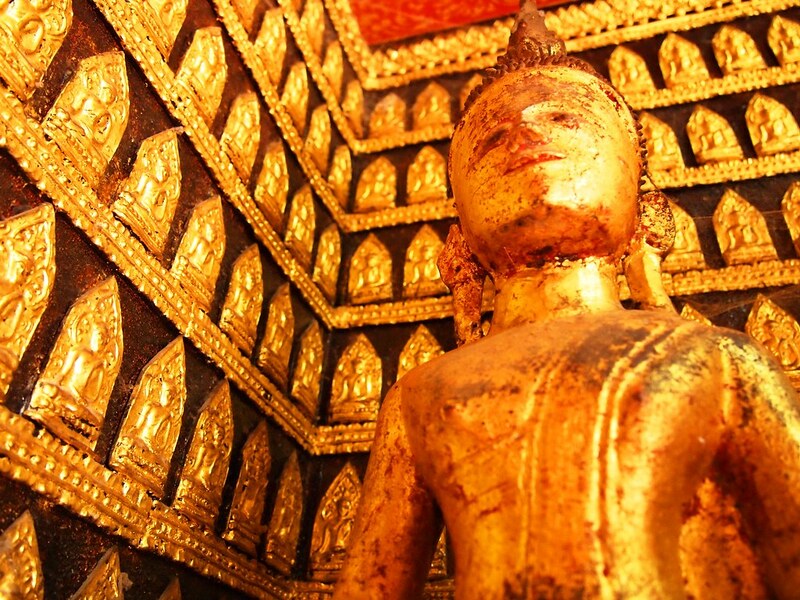 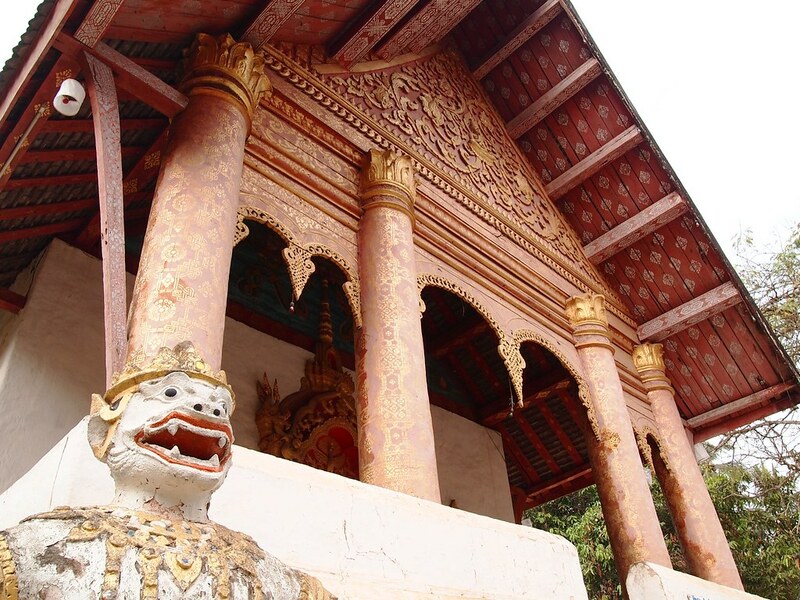 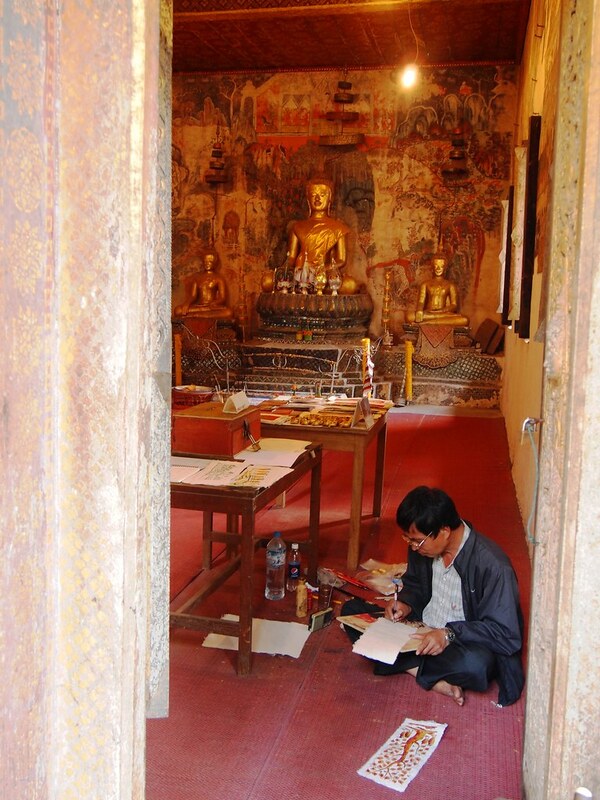 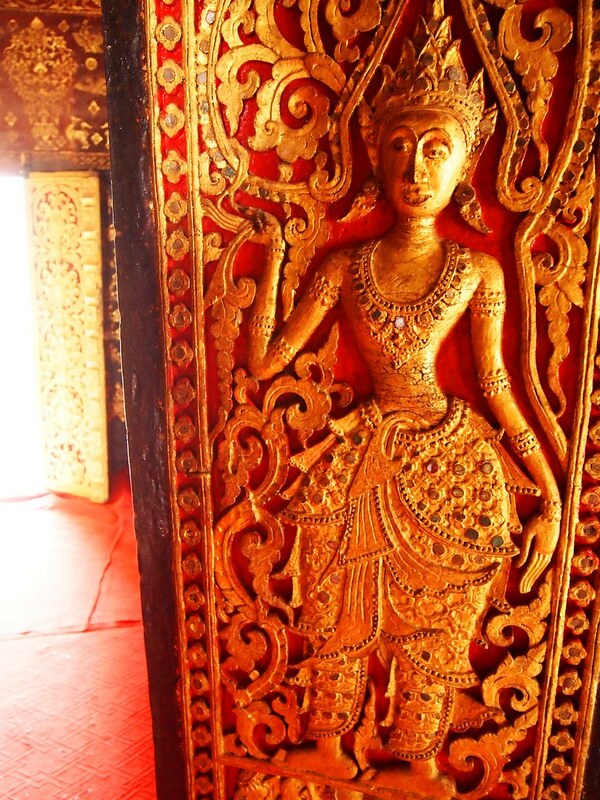 The ancient temples of Luang Prabang are more than a place of worship, it is an important historical site where every wall murals is a recorded story of Laos, thus making the restoration work of Lao artist very important. 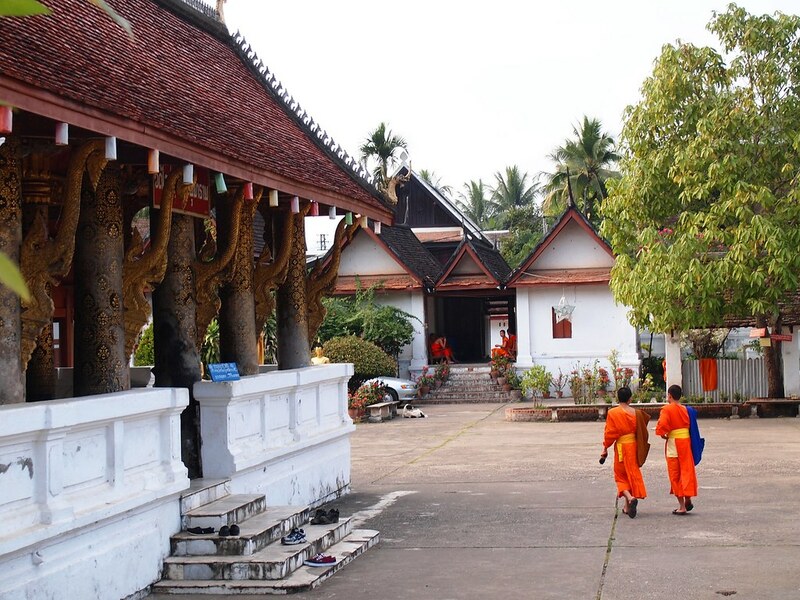 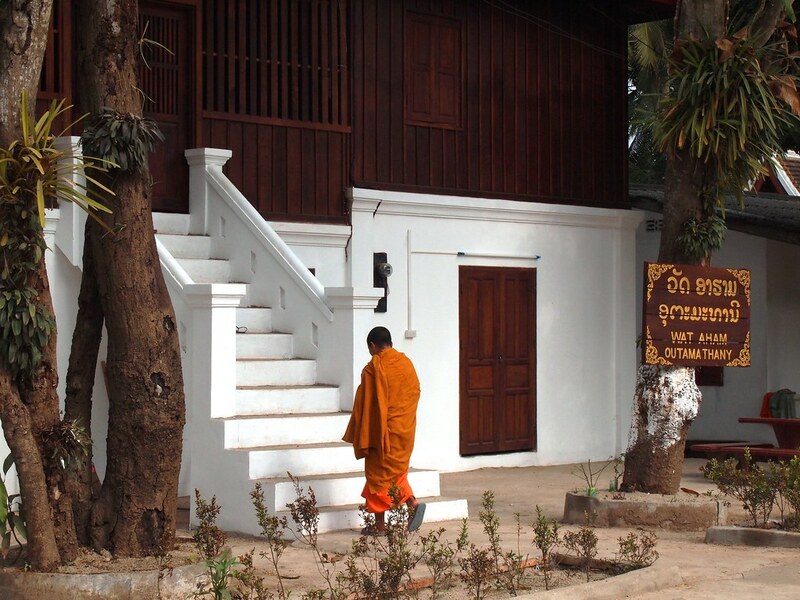 At the back of most temples is a separate compound where monks and entering Buddhism disciples are living and are often off-limits to visitors. 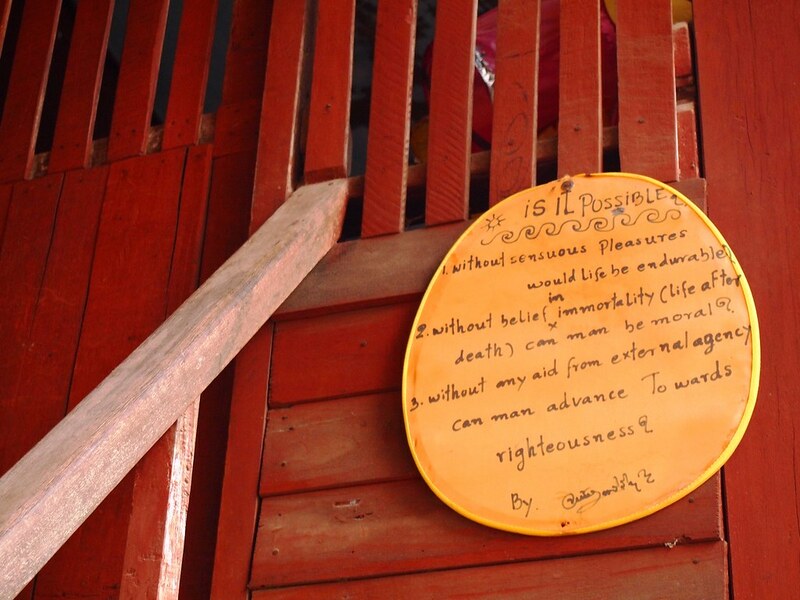 I was wandering around one temples and ended up at the back-side, then I saw this signage asking three questions to ponder hanging at the door- “Is it Possible?”. 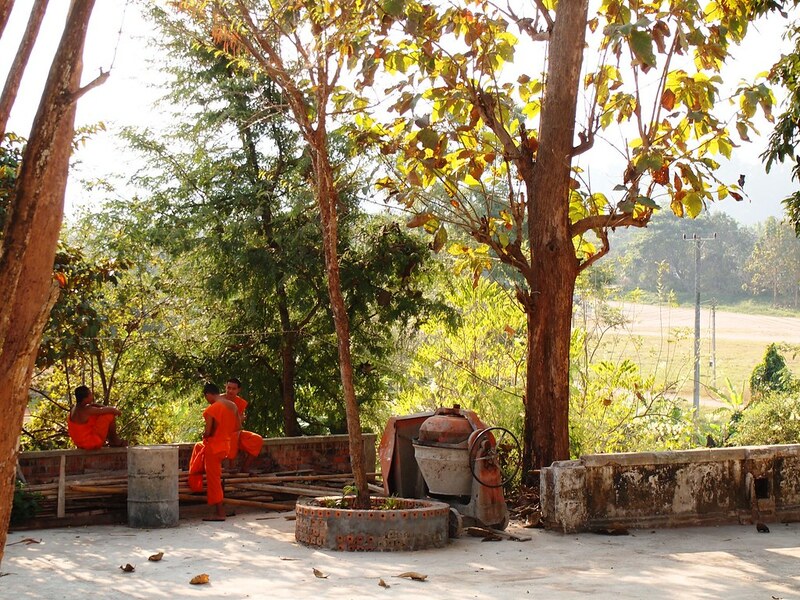 I really enjoyed the post as I just returned from many of those areas and am doing blogging after the fact! 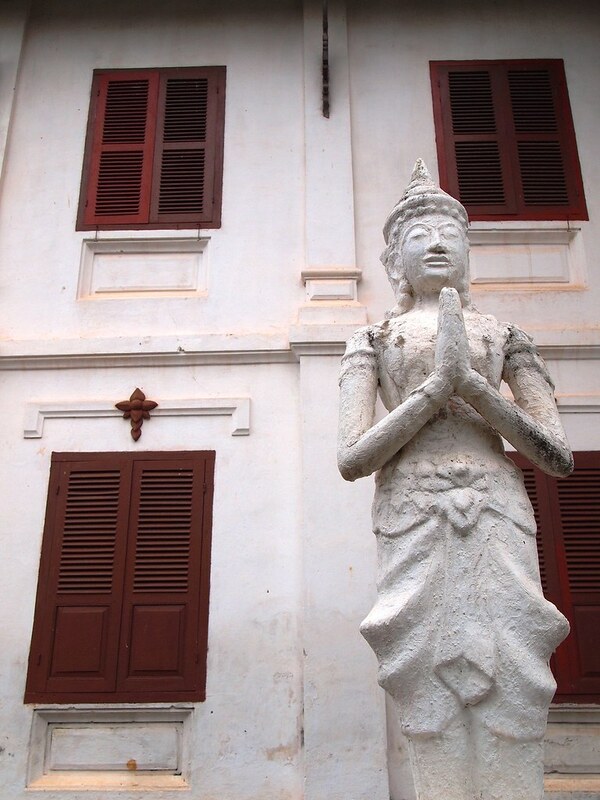 What should I say? 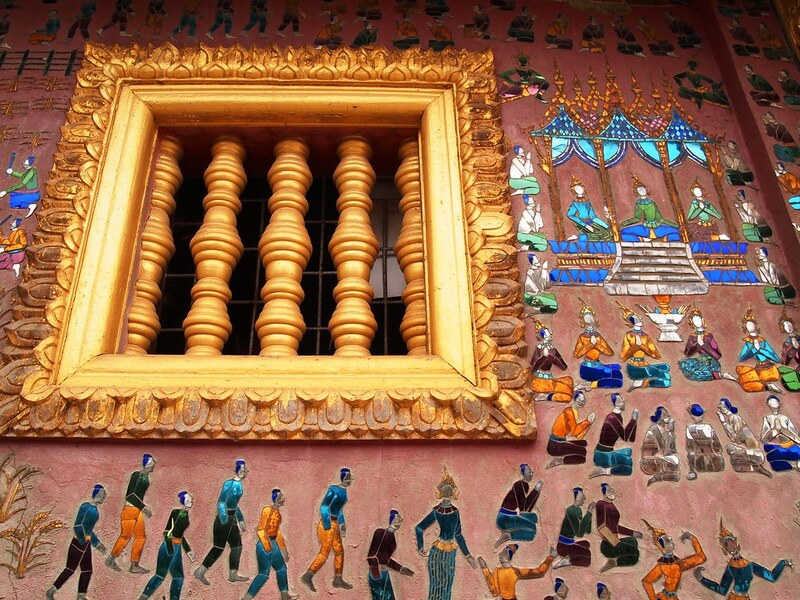 Just incredible images…. 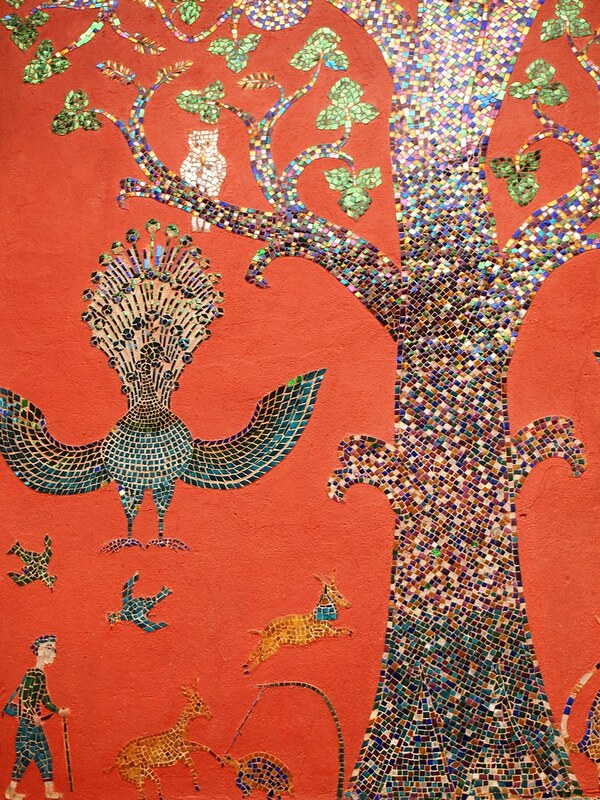 It’s so colorful and looks really rich. 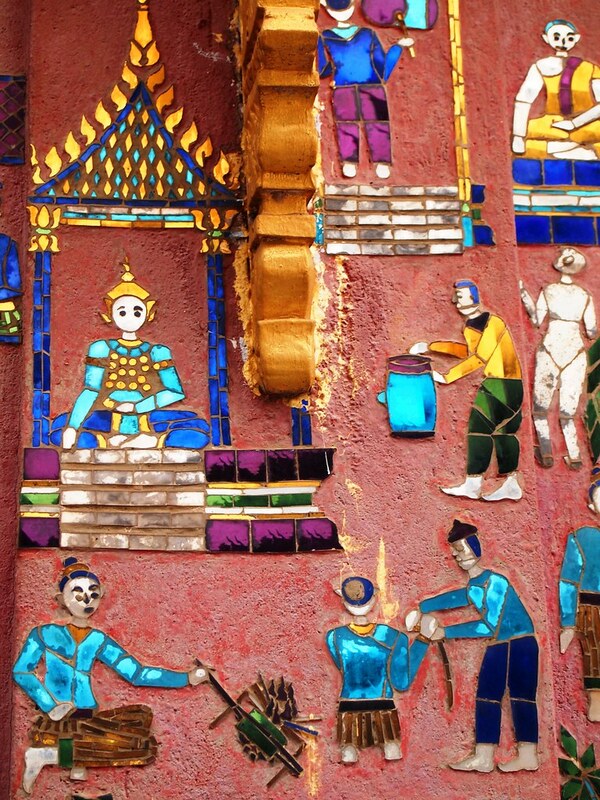 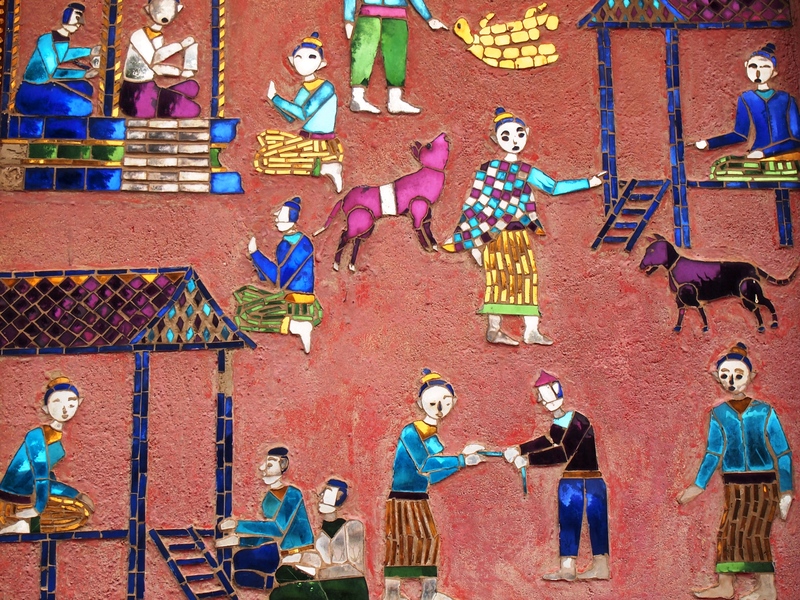 Thanks so much I am a mosaic learner/lover and feel so silly not to have known about Laos and mosaics- your work was stunning!